Lawmakers in Dubuque, Iowa last year made it mandatory for landlords to run a criminal background check on all new tenants. Cedar Rapids City Council is currently mulling the same measure. A handful of other cities have followed this tack, a move they say helps reduce crime. These laws are promoted by local police departments over concerns that landlords who are not careful with tenant selection make it harder for police to do their job. In cities where these laws are in effect, officials credit the the criminal background checks for reducing crime by discouraging criminals from moving into local neighborhoods, and by increasing the number of quality tenants. While a criminal background check — mandatory or not — is crucial to the tenant screening process, it’s important for landlords to look at the criminal check as one piece of a larger puzzle. There are many things a criminal check alone can do, and a few that it cannot. Criminal Background Checks Are Mandatory — Even When They’re Not! Even if no local ordinance requires a criminal background check as a condition for a landlord to maintain a rental license, given the potential for harm, liability and income loss, smart landlords run a criminal background check on every adult resident. If not, that omission could lead to a claim of negligence should the new tenant cause injury. Additionally, landlords who fail to run these background checks could wind up owing fines or losing their rental license in this climate of increasing regulation. One inherent limitation of criminal background checks is the source of the information, particularly local, state and federal courts. Each of these courts has the power to develop their own protocol for reporting criminal cases. The systems vary in how much information is produced, and how long it takes for the records to become available. Another limitation with the criminal background check is the difficulty in verifying that the applicant and the report match. Courts typically do not include the Social Security number of the individual, and may not show a birth date or current address. As a result, criminal checks do not offer much help in verifying the identity of the applicant. Without the proper background information, it can be difficult to determine if the applicant is using a false identity to hide a serious criminal history, or if a negative report matches up with the applicant, rather than someone with the same name. To make the most out of tenant screening reports, including criminal background checks, it’s important to get detailed information in the rental application. Verify that information with photo ID, by speaking with references, and by reviewing information contained in all of the reports. One of the best ways to use tenant screening reports is by cross-referencing them to one another. Someone may be able to hide a criminal past, but that same behavior may have led to a poor credit rating, or to an eviction. Note the information in each report and cross-check, looking for inconsistencies, like different spellings of the name, different dates of birth, or previous addresses not listed on the rental application. Gaps in rental history could also hint at criminal activity. What a criminal background report can do is flag an applicant with a violent history, and prevent a serious leasing mistake. Once the identity of the applicant is verified, and the criminal background check comes back clean, then a landlord can enjoy the peace of mind that they are not bringing in a tenant who could be a risk to the neighbors or to the property. Unlike Dubuque, other cities are considering counter-measures that would help ex-convicts in the process of rehabilitation find housing. One such law, if passed, would prohibit landlords from rejecting rental applicants with a criminal record if the crime is not directly related to “housing” issues. 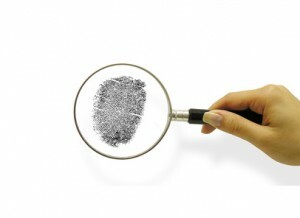 Knowing whether an applicant may be dangerous is the primary reason to run a criminal background check. If the person has committed a less serious offense, a landlord is free to perform other due diligence to determine if that person is an appropriate tenant. What’s important for landlords is knowing what they are getting into — because when it comes to minimizing income loss, an ounce of prevention is worth a pound of cure.